Why did my credit card/paypal order not get charged? Do you have Shipping Insurance or Signature Service? I hate paying for shipping. Is there anything I can do? I don't see my country on the list, what should I do? Do you take requests for products to carry on Akadot Retail? What's the deal with Back ordered items? What's the deal with "Blowout" Items? How do I get an Akadot Retail membership? What is your calendar preorder policy? How would I contact Akadot Retail? Can I have subscription for a certain magazine? Since we sell both products that can be in English or Japanese, there are 2 ways to find out if we the product is in English or Japanese. For Japanese items we have labeled them Manga or (Japanese). If it is not labeled Manga or (Japanese), then the second way to check is in the description. If the product is in Japanese, it will say Japanese text. All other books should be in English. All bookoff books are in Japanese text. Japanese products may not have Furigana on the side. However if you wanted to double check, you can always email us at servicemaster@akadot.com! Please be aware that Money Order orders take longer to process because of the time necessary for the money order to be delivered. We also take Paypal. Just check-out and select Paypal and it will go through the system for you. For credit card orders, if you choose the 1 Shipment option and if there are any backorder/preorder/special order items in your order, you will not be charged for the entire order until all your items in your order are ready to be shipped. Customers can check the status of their items by checking their order status located in their Account info. Once customer orders are entirely ready to be shipped we will charge accordingly. For paypal orders, if you choose the 1 Shipment option and if there are any backorder/preorder/special order items in your order, we will not ask for paypal payment until your items in your entire order are available to ship. * Please note that in this case you will not be asked to make payment via paypal with the link you usually would get at the time of a ready shipment. Akadot Retail will contact you with the correct total and shipping fee once your entire order is ready. According to the laws of California, we are not allowed to collect payment for orders if we can not ship the products within 7 days. Items cannot be returned once they are received unless the item is defective when it arrives. If you need to return an item, please contact servicemaster@akadot.com. Due to our company policy, we only provide these following options. We will refund you the FULL AMOUNT with a gift certificate that can be used on a future purchase on Akadot Retail. Shipping Insurance: We can include shipping insurance for USPS Domestic and International orders. Please add the Shipping Insurance as a product. We will let you know the cost and once we receive payment, we will ship. We recommend shipping insurance for USPS International First Class Shipping and Media Mail (Domestic) as they take longer to arrive and may get lost in the process. Signature Service: For USPS Domestic orders ONLY, we offer a Signature Service for $3.00. You will need to sign for the package when delivered. If you don't receive your package, we will be able to find out when the package was signed and by whom. We offer free shipping (up to $15) for all orders(excluding discounted items) over $60.00 dollars! (United States shipments only). Packages will be shipped out via our shipping service of choice (Fed Ex or USPS). In the case of additional shipments selected, Akadot Retail will cover only the very first shipment. All additional shipments after that must be paid for by customers. If the calculated shipping fee exceeds $15, customers may be asked to pay for the excess. Occasionally, we'll also have special promotions for free shipping, so keep a look out for them! Akadot Retail is happy to say we take international orders! Here is a list of countries we will ship to. We will ship to these countries by United States Postal Service only. We will ship to these countries by United States Postal Service's EMS option only. We currently only accept payment by Paypal for these countries. Also please be aware of the customs/duty in your country. Akadot Retail is not responsible for it and may request that the shipment be sent back and re-sent at the customer's expense. Please order via Money Order through our website and select the nearest country to your location from the countries listed. Please put your correct shipping address in the "Add Comments About Your Order" section and indicate if you would prefer to pay by paypal. For the shipping method of your choice please try selecting the United States Postal Service rather than selecting the "Pick-up Option" since we can only ship by USPS for all International orders. For all non-listed countries, your choice of USPS shipping method will be either the Express Mail and/or the Priority Mail method. Once you make an order, please let us know the Order Number by emailing us at servicemaster@akadot.com. Once we get your email we will contact you with the correct total and shipping fee. You will then be able to let us know which shipping method you prefer. As soon as we receive the payment, we will fix the order and ship it. A product that is special order means that the product is either out of print, or very difficult to get. You are free to purchase a product that is Special Order, but please keep in mind that you are not guaranteed to receive the item. We will not charge shipping on the Special Order until we ship the item to you. Like our news service, Akadot Retail was crafted for anime fans by anime fans. If there's a certain product you, our staff will go to the full extremes to get it for you. Contact servicemaster@akadot.com. Items that are designated as "Back-Order/ Special Order" are items that we don't currently have in stock but we expect to receive it from our distributor. They are still available for order, but the speed at which we send it to you will vary from product to product. For each back-ordered item, we provide an approximation for how quickly we can get it before sending it out to you. The following is a list of the several types of back-order/ special order estimates you might see in our store. Usually Ships in 1-3 Days: We expect to receive the item from a nearby distributor within 1 to 3 days of your order. Usually Ships in 1-2 Weeks: We expect to receive the item from a nearby distributor within 1 to 2 weeks of your order. Usually Ships in 2-3 Weeks: We expect to receive the item from a distributor within 2 to 3 weeks of your order. Usually Ships in 3-4 Weeks: We expect to receive the item from a distributor within 3 to 4 weeks of your order. Usually Ships in 5-8 Weeks: These items generally come directly from distributors in Japan and can take anywhere from 4 to 8 weeks to get into our store. Please keep in mind that these estimates do not include the delivery time from Akadot Retail to your doorstep. Blowout Items are products that have been sad and lonely for a long time. We are trying to find these poor things a good home. Once they're gone, they're gone. Please be aware that while these Blowout products come at a great price, some of the products may not be in excellent condition (due to age and packaging). That being said, Akadot Retail maintains a commitment not to sell anything substandard or unusable. Absolutely! AR wouldn't be Akadot Retail without great discounts. 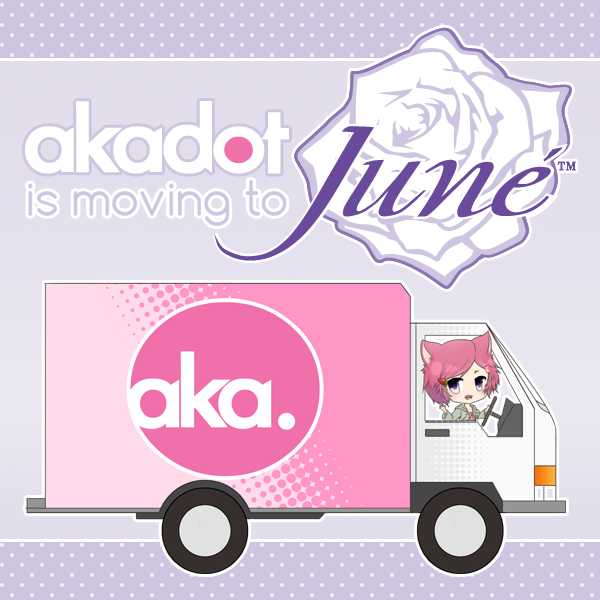 Even better discounts will be available with an Akadot Retail membership! That's a good question. You can subscribe to an exclusive 1-year Akadot Retail membership for just $15. In addition, you'll get an additional 5% off orders plus you'll get a $20 gift card once you've reached a purchase of $1000. Once your membership expires, we do keep your purchase balance, so if you don't re-subscribe to the membership, we'll still keep the balance for you until you re-subscribe again, so you don't need to start over to get the $20 gift card! We know exactly how you feel. Artists and anime fans are hard to shop for. That's why we offer electronic Gift Cards in various increments. They're easy for you and them, and are good for any item for sale at Akadot Retail and Comictones. Just go here. Akadot Retail will have the right to close customer accounts and request alternative forms of payment if a fraudulently obtained gift card is either redeemed through the Akadot Retail Web site or is redeemed and used to make purchases on the Akadot Retail Web site. Calendars are very difficult for us to get. That being said calendars will have a deposit that is non-refundable. Furthermore, we ask that you buy preordered calendars separately or choose to have it shipped 2+ shipments. Yes, we do offer subscriptions! However, if you sporadically want to order magazines here and there every other month, then we cannot subscribe to them because it requires a dedication of ordering them through our publisher, which means that we set up your account to your credit card to order them and charge them as soon as each issue comes out. If you want to individually and sporadically order them, please email servicemaster@akadot.com and we can put you on our magazine mailing list and notify you by email when new issues come in. There is no "extra" charge for setting up subscriptions or to special order any magazines at all. But in order to set up the subscription, we must have your credit card number and CSC number so we can charge your account for the product and S&H as soon as we receive the fresh copy and send them to you as soon as they arrive. We will also need your sign-in email and password in order to keep the subscriptions under your account.